Even though Gracie's birthday is still 4 months away, she has already started planning her party after seeing this sweet little hat. This was very easy to make with just a piece of 12x12 paper, and a few scraps for accents. I rolled the paper into a cone shape and hot glued at the seam. I trimmed a bit of the paper from the bottom edge so it would sit level, then added the pretty maribou feather trim. I punched the scallops, then added the number 4. I also hot glued two thin pieces of ribbon to tie it onto her head easily. I love how quick and easy this was and I think I'll make a hat for all her little friends to wear at the party too! She is adorable, Mary Ann! 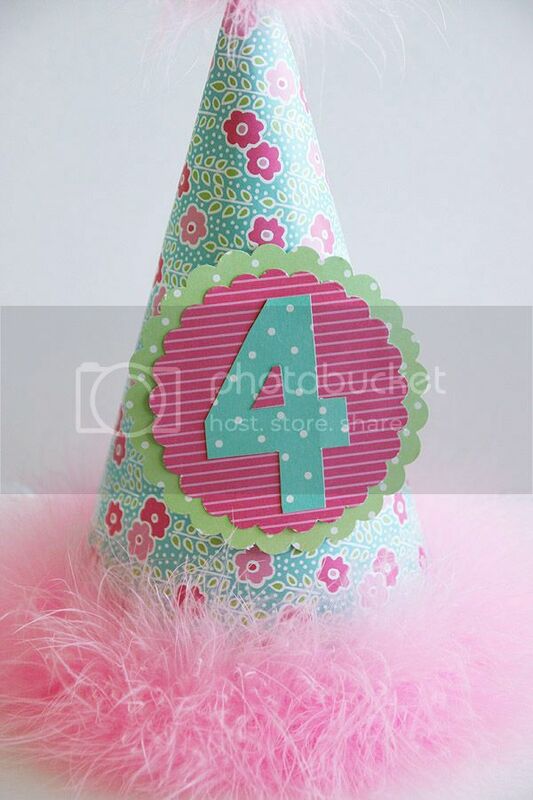 Love the sweet party hat! 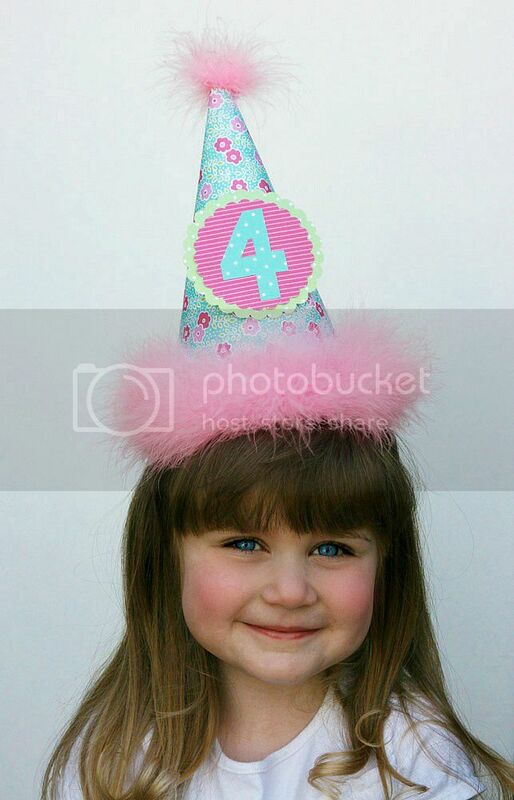 What a sweet face, I just wanna pinch those cheeks lika an old lady :}} That hat is so cute with those maribou feathers! OMGoodness, that hat is way too cute!!! I love the pink boa and your little one is darling!! This couldn't be more adorable. LOVE! Very cute, love it! Thanks for linkin up! Can’t wait to see what you’ve made this week!